Honestly, whenever I think about car insurance, the first thing I think of is Allstate Insurance commercials, of course! And the second thing I think of is…boredom. No one wants to read up on car insurance, by choice! Nonetheless, auto insurance is an extremely important aspect of buying and owning a car. So I’m here to tell you about it in a quick, digestible format, that is hopefully as non-boring as possible! 🙂 The basics First of all, let’s talk about what insurance is. At the least, car insurance is a monthly payment that provides insurance coverage in the case that you get in an accident and judged to be at fault. With car insurance, you’ll have to pay a deductible and percentage of the cost if you damage to the other person’s vehicle, cause the other person to need medical attention or cause death. The cost will be MUCH lower than if you ever tried to pay out of picket. Now let’s what happens when you don’t have insurance: well, nothing good! Each state has different laws when it comes to auto insurance, so to begin, find out what the law requires in your state. (Here is the minimum requirements by law in Missouri, for example!) You definitely don’t want to be caught without insurance, because you’ll have to pay a hefty fine (even if you’re just pulled over for a speeding ticket! ), not to mention burdensome bills in the case of an accident. Liability – Usually the cheapest. Pays another person’s bills when YOU are at fault, but doesn’t cover your bills if the OTHER person is at fault and isn’t going to be covering you. Also doesn’t cover stolen cars, damage when you run into something other than another car, etc. Collision – Pays for damages to your car when you hit a vehicle or object. Doesn’t cover theft of car. Comprehensive – Pays for damages or loss of your car in situations other than collisions, eg. fire, wind, hail, flood, vandalism or theft. Medical Coverage – Pays medical expenses whether you are at fault or not, as long as everything was caused by an auto accident. PIP – Stands for Personal Injury Protection. Pays medical expenses for the insured driver, regardless of fault. Required in some states! Uninsured Motorist – Pays your car’s damages when an auto accident is caused by a driver who doesn’t have liability insurance. Underinsured Motorist – Pays your car’s damages when an auto accident is caused by someone who has liability insurance that doesn’t cover much! 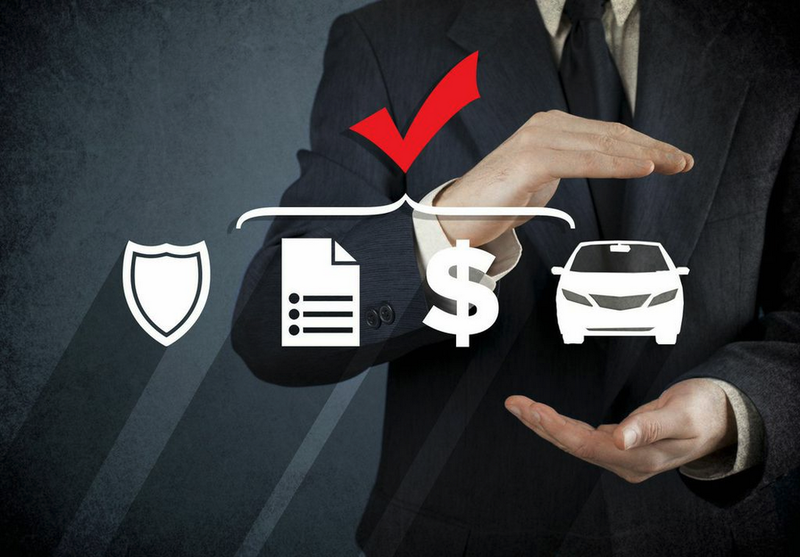 Rental Reimbursement – Pays for a rental car via a daily allowance, if your car is damaged due to an auto accident. How much can you afford to pay each month? Definitions You’re almost ready to pick your insurance! But if you’re like me, you might need a few definitions to help you navigate car insurance descriptions. Deductible: The amount you are required to pay for some of the damages in an accident before the insurance starts covering. This amount depends on your policy, and could be $100, $250, $500 or $1,000. For example, if you are in an accident that causes $3,000 worth of damage and your deductible is $1,000, you are required to pay the $1,000 and the insurance company will take care of the other $2,000. High deductibles = lower monthly payments. Premium: The price you pay for insurance on an annual basis, on top of your monthly payments. Can be lowered by choosing a higher deductible! Claim: Whenever you can to report an accident or damage to your car, you are making a claim. The less claims you make, the cheaper your insurance will be. How do you feel about buying a car? Think SMART… Happy Earth Day. Preparation for the big day!